This is the third in a series of videos culled from an interview about content marketing I did with Terry Foster of Cision Canada. Cision (the USA version) is also a sponsor of Convince & Convert and our Social Pros podcast. (here’s a post I wrote about their nifty content amplification tool). Terry: So when a company’s just starting with content marketing, what are some key performance indicators, basic KPIs that they could start with in order to start measuring the effectiveness and success of their efforts? Jay: It depends on the type of company and whether they’re B2B or B2C or how they sort of track their actual business in the real world. But, generally speaking, I think the best way to look at content programs is to say: “Do people care about it? Is there proof of caring?” And a lot of times you can measure that just anecdotally. You don’t have to necessarily have a whole complicated scheme. For an example, there’s a company called Life Technologies – a major global manufacturer of scientific equipment. They have this great content program where they take their product catalog and they execute it as a series of YouTube videos that are chained together with annotations. So it’s almost like a choose-your-own adventure product catalog. Terry: So if content marketing is a great way to show your brand personality, that’s a great example. What are some other good examples of personality through content marketing? Jay: I’m glad you mentioned personality, Terry, because it’s really important. One of the biggest problems today with content marketing is companies creating content that is all about themselves or about their products and services. There’s a name for that kind of content marketing. It’s called a brochure. 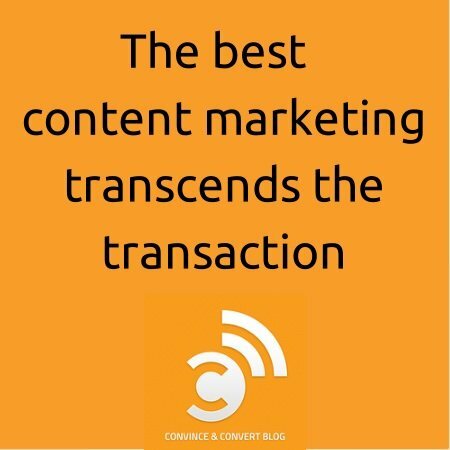 What I talk about a lot in Youtility and in presentations is this notion of marketing sideways, that the best content transcends the transaction. That it’s not necessarily about your products and services per se, but it’s about something that your customers care about that is related to what you actually offer. One of my favorite examples is from Columbia Sportswear. Columbia, of course, creates outdoor gear and jackets and hats and things like that. 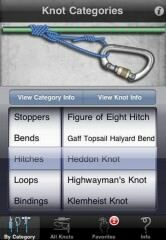 They have a mobile application called What Knot to Do in the Greater Outdoors. It’s actually an app that shows you how to tie knots, right on your phone. So if you’re camping or hanging off the side of a cliff, it’s pretty useful, right? But they don’t sell rope. Columbia’s not in the rope business. But it’s related enough to their brand and what they sell, that it feels appropriate and useful. And when you use that app (which I do), it inserts their brand into my life in a way that otherwise they wouldn’t be present.